Vulnerable Democrats in red states trying to distance themselves from Obama are receiving no help from the leader of their party after he basically said they all support his agenda in an interview with Al Sharpton earlier this week. In North Carolina, MSNBC’s Kasie Hunt asked incumbent Democratic Sen. Kay Hagan whether she felt if Obama was a strong leader. 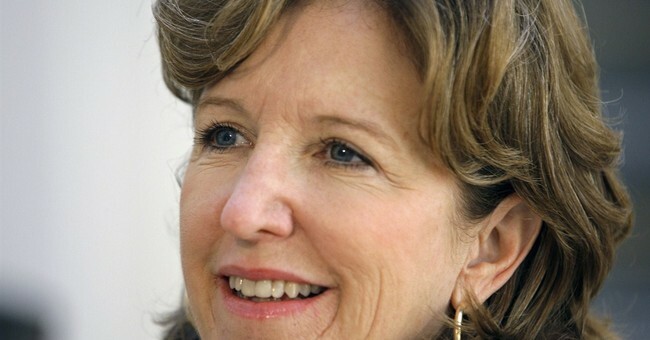 Let’s just say Hagan could not say anything–with a degree of confidence or certainty–that was positive about Obama. Straight up–she avoided answering the question. When pressed further on Obama exhibiting strong leadership qualities, Hagan deflected by saying we should have done more to respond to Ebola. I asked her if she wanted to clarify her thoughts on whether she thought Obama was a strong leader. I thought her answer was worth sharing now. So Hagan, who arguably rode Obama’s coattails into the Senate back in 2008, thinks that the one area where Obama’s shown strong leadership was on the Gulf oil spill four years ago—but, even there, he wasn’t particularly strong. This is just another sign of how Obama’s falling approval numbers has become an anvil on Democrats this election cycle. And when you virtually vote with President Obama the entire time you are serving in the U.S. Senate, that could become a problem as well.